LEMAIRE Stephane / hemis.fr/Getty Images. The infamous India gem scam is unfortunately one of the most common scams in India (as well as other parts of Asia, such as Thailand). The scam is widespread in Jaipur and Agra. There are also reports of it occurring in Rishikesh. Now, it has become prevalent in Goa as well. What's particularly shocking is how readily tourists fall for this scam -- even the most educated and intelligent ones. There are many variations of the ingenious and elaborate gem scam, all set up to be as convincing as possible. However, the essence of the scam involves someone who has a "jewelry-export business" and wants to save money on export duty from India. 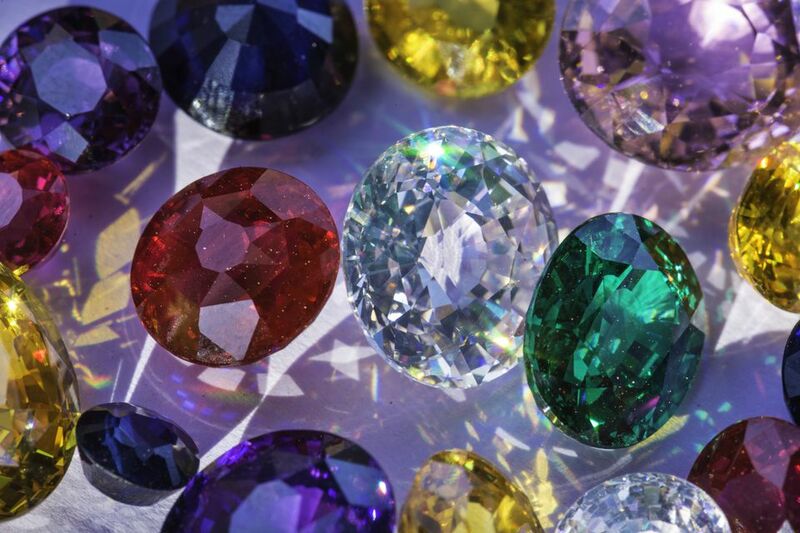 They ask the tourist to use their duty free allowance and ship the gems for them. And, of course, they tell the tourist that they will be paid generously in return for doing this. The tourist doesn't have to outlay any money at all, which makes it seem appealing and legitimate. What's more, many tourists feel obligated to assist the friendly Indian businessman who really needs their help (and has gone out of his way to be kind to them). Here's one example of the gem scam in action. This is a true incident, which happened to a European woman. While on vacation in Goa, the woman was approached by an Indian businessman who asked her to "buy" jewelry from him and post it to Australia, so that he could save on export duty from India. He told her that she didn't have to pay for the items -- just mail them to Australia, collect them there (she was traveling to Australia) and give them to his contacts. He offered her 24,000 euros in return. This is where the scam involves an interesting twist. The businessman told the woman that she was likely to get a call from the Customs Department in India. The Customs Officer would ask her how she paid for the items, but would be satisfied if she could show that her credit card limit was sufficient. Sure enough, she received a call from the "Customs Department" the day after she posted the jewelry. However, the "officer" accused her of stealing the jewelry, and threatened to arrest her if she couldn't show evidence of payment. When she told the Indian businessman about this, he confirmed that she was indeed in big trouble and should make the payment to avoid any further problems. He would then return the money to her account after she delivered the jewelry to his contact in Australia. So, she transferred 40,000 euros from her bank account for the jewelry, and made a further payment of 8,400 euros with her credit card for "insurance of the parcel". Needless to say, the jewelry (and the conversation with the customs officer) was fake and she never saw her money again. You can read the rest of the story here. What was really astonishing was the amount of money that the woman lost (nearly 50,000 euros, which is equal to almost $65,000), and the fact that she was an intelligent professional who saw all the red flags but still fell for the scam. After returning to Goa, the woman was fortunately able to get most of her money back after complaining to the police. If anyone has been a victim of this scam, they should speak to a police officer in Panjim who has at least a 2 Star ranking (there are not many such officers and all should have heard about the case). Goa Police also has a website with contact details on it. Another foreign female traveling alone in India had this experience with a scammer, who posed as another traveler and befriended her in Rishikesh. "Some people tried to scam me exactly as detailed in your article, but the initial 'befriender' guy I met whilst in Rishikesh, and he posed as a fellow traveller. He was an Indian guy, apparently from Mumbai originally, but told me he'd been living in Thailand for the last 5 years and was in India for a month to see more of his own country. We were travelling a similar route and got along so agreed to travel together, which we had been for a week or so. He was a fellow traveller so I wasn't suspicious, and considered him a friend by the end of the week together. On arrival to Jaipur he had to go and meet his boss, who pitched the scam to me (I wasn't interested and declined the offer to take gems to Australia, my next destination). However, I was interested in the 200% export tax, so I Googled and found your article. I think the scam is becoming more sophisticated, as posing as a fellow traveller changes the game from just being aware of being approached by locals. At no point did I think it was a scam, and trusted him implicitly as 'my friend' which could have made me more susceptible to his offer." It's also important to note that auto rickshaw drivers have been known to work with the gem scammers, by bringing tourists to them. Politely decline any invitations to go for a beer or dinner after sightseeing. Since you're a foreigner in India, it's easy to fall into the trap of feeling obliged to be friendly and kind to the locals. After all, you're in their country. However, scammers are aware of this, and will use it to their advantage. Yet another example of the gem scam, where this happened, is reported here. The foreign female tourist was approached by two young Indian guys while alone at a market in Goa. They struck up a conversation with her, and then asked her why Europeans were standoffish towards Indians in India. Not only did this make her feel bad, she became determined to show them that not all westerners were like that. Despite the alarm bells ringing in her head about the scam, she still bought the gems because she didn't want to let the guys down and disappoint them. The lesson here is that although you may want to help people in India, it's best to avoid anyone who approaches you -- especially with business deals that seem too good to be true.